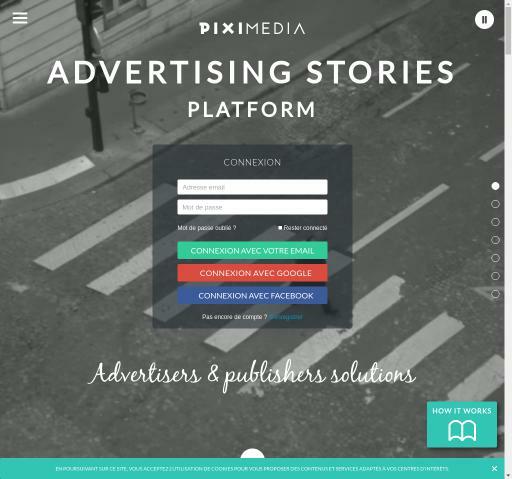 Piximedia Video, Mobile, Native, Banner advertising network details. Piximedia offers solutions for an effective user’s advertising experience either you choose to have Video, Display or Native ads. Piximedia targets a specific category of audience in order to address the campaigns to the right people. The company is allowing you to create messages using AI based on their audience behavior. With Piximedia you can reach a large scale of people with the help of websites and mobile applications. The company has implemented an algorithm called Algorithm Piximedia where you pay only if you meet your targets and if your messages are clicked. Once you create an account, you will get connected with an experienced Manager who will do the best to help you. If you have any other questions before signing up with Piximedia, please use the contacts above to contact the Piximedia Team.